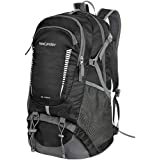 • BACKPACK MATERIAL: Water Resistant Nylon, high quality pull string zippers, good ventilation, no deformation, Super versatile and multi-functional. 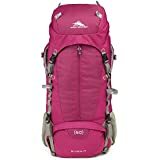 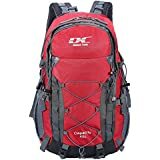 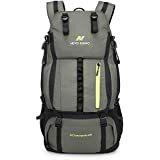 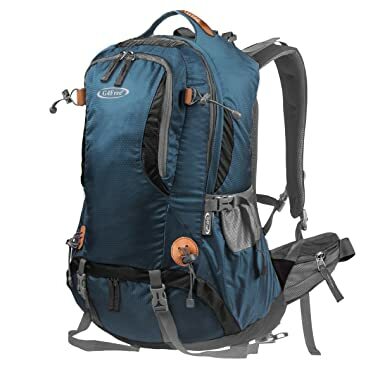 Comparable to the High Sierra, Teton and Everest Backpacking Backpacks. 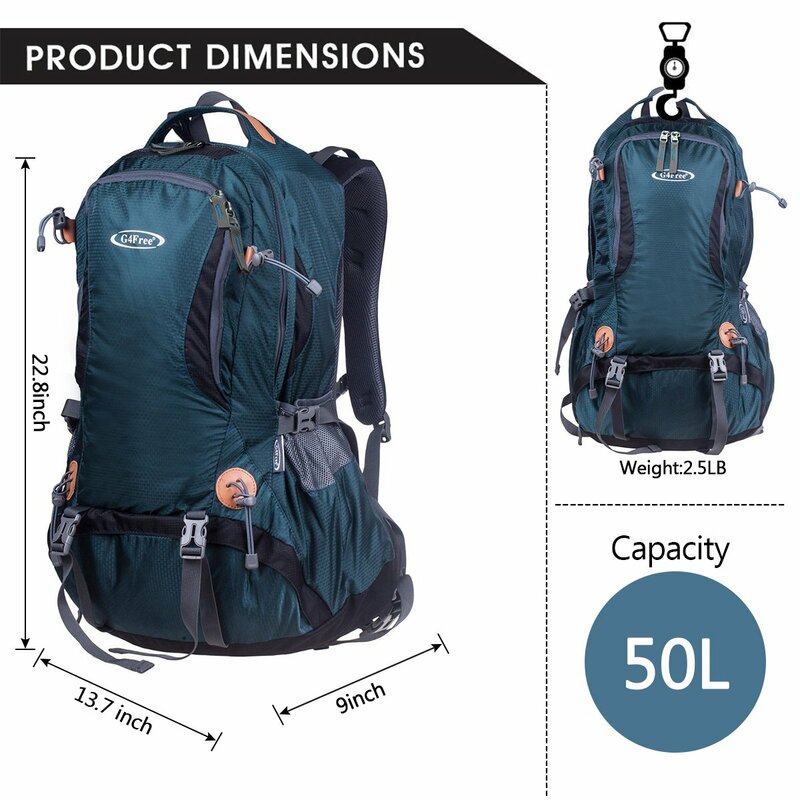 Large Bearing Capacity: 50L. 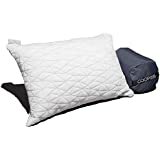 Size: 13.7 x 9 x 22.8 inches. 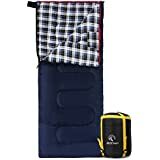 • MANY POCKETS: One Large Front Zipper Pocket for quick access and one large deep main pocket as well as one SPECIAL ZIPPER POCKET for shoes or dirty clothes. 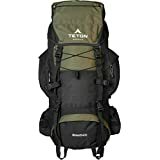 There also comes with 1 bottom rain cover pocket INCLUDE RAIN COVER. 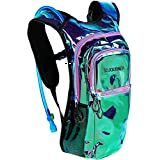 2 Hipbelt Pockets could accommodate cell phone/MP3 player and 2 Side Pockets for bottles or umbrella. 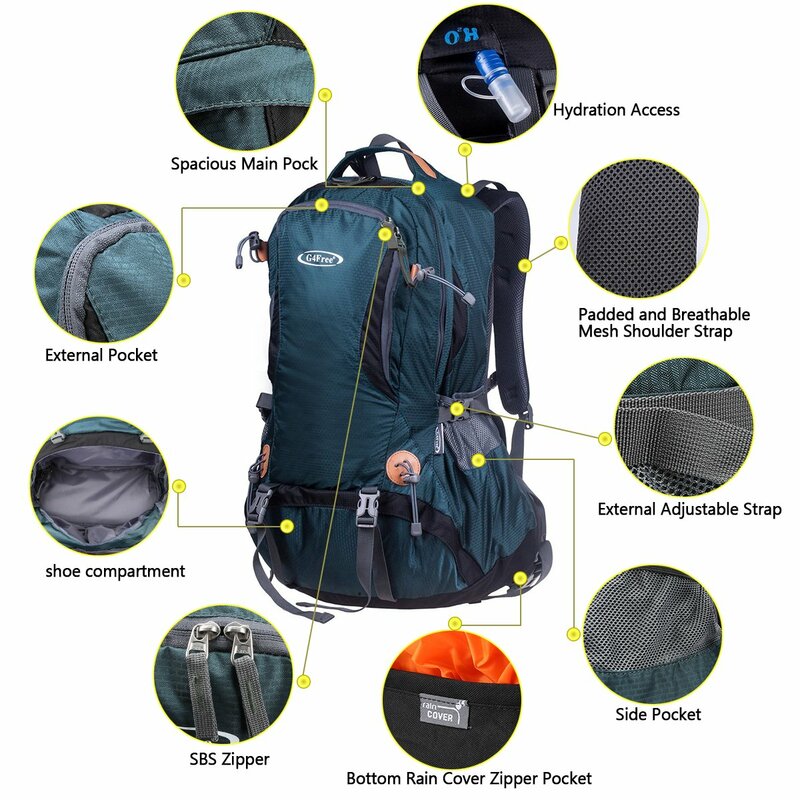 • HYDRATION BLADDER COMPARTMENT: There is a compartment in the main pocket designed for putting Hydration Bladder, keeping you hydrated for a day when you are in various sports activities, such as climbing, hiking, camping, backpacking, traveling,etc. 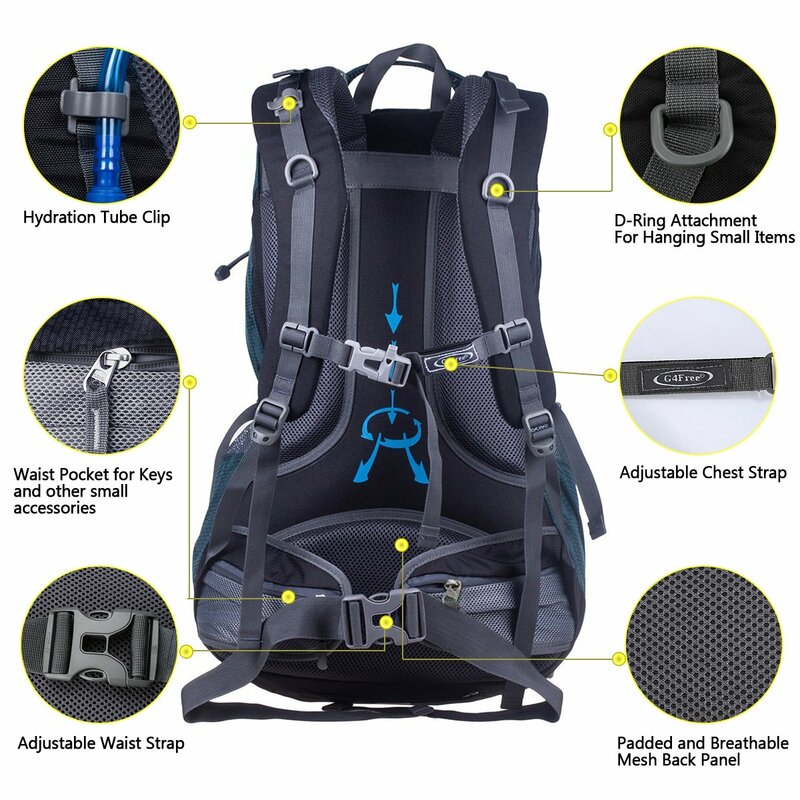 Hydration Bladder is NOT INCLUDED. 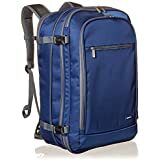 • COMFORTABLE STRAP: Breathable Mesh Back Panel make the heat quickly spread out, breathable perspiration and resistance to sweat make your back feel pretty comfortable when you carry the backpack for a long time. The design of Thick Shoulder Straps relieve weight on the shoulder. 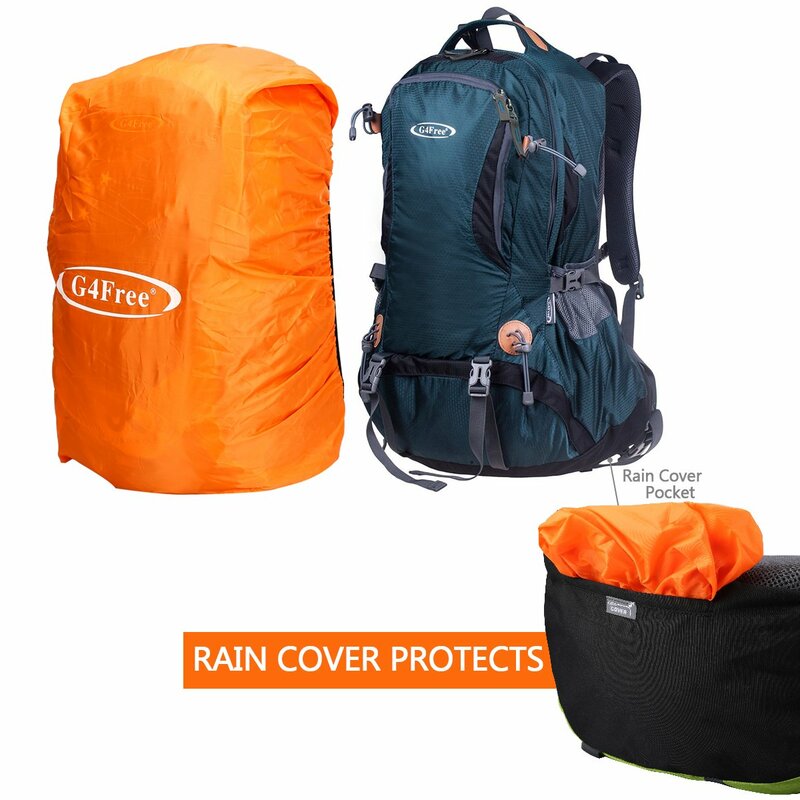 • RAIN COVER INCLUDED: It can protect your stuff from the rain. 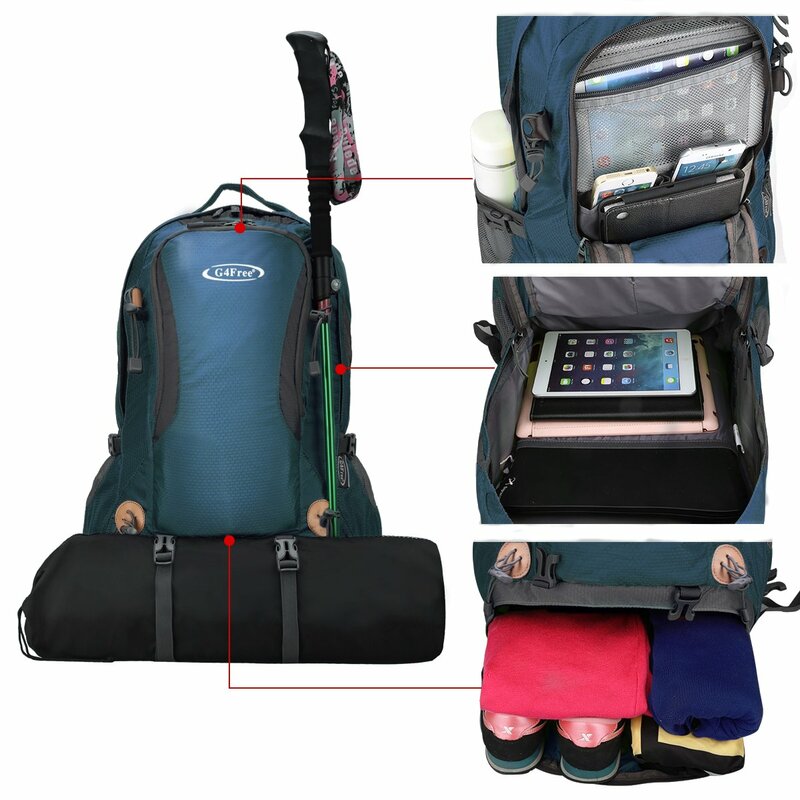 There is a big room for a Hydration Bladder, your iPad, mobile phone, A4 documents, books, magazines and other accessories; Multiple attachment and straps for hanging tools, trekking pole, tents, sleeping bags, and other items. 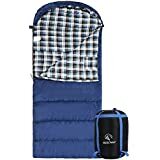 And all these items can be protected from rain!